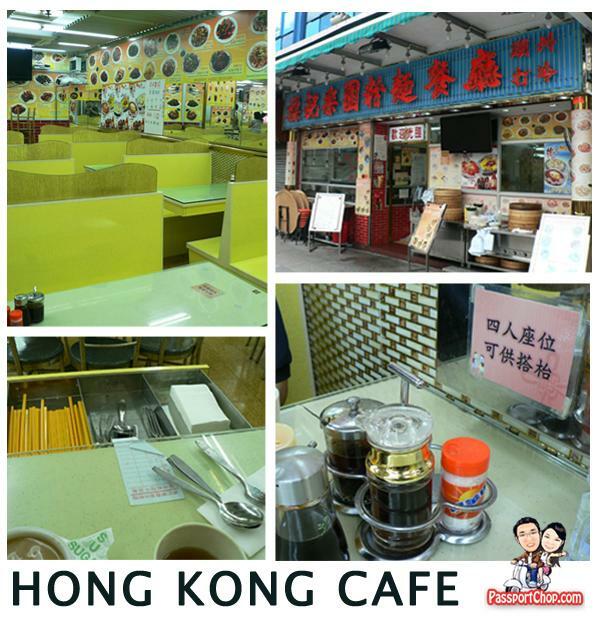 One of the ubiquitous eating places in Hong Kong is the Cha Chaan Teng – 茶餐厅 (Hong Kong Tea Restaurant). It is known for its affordable menus offering a wide variety of dishes e.g. Hong Kong cuisine and Hong Kong-style Western cuisine (Canto-Western Cuisine). It is something like Singapore’s kopi-tiam except that it specialises in the above-mentioned meals and the staple drink here is tea – hot, cold, with or without milk; there is a wide variety available. Located just a few minutes from our Stanford Hong Kong hotel lies a number of such eateries. We decided to have our breakfast here because it had the very traditional Cha Chaan Teng feel i.e. a 4-6 seater wooden booth with drawers filled with all the utensils and serviettes you need for your meal. I ordered Yi Ding Mien (Instant Noodles) sets which come with luncheon meat and toast. Introduced in Cha Chaan Teng in the 1980s, instant noodles usually come with canned food like luncheon meat or pork cubes, or with other kinds of meat. It can be served dry or with soup. Being a typical value-conscious Singaporean, my first instinct would be to think “Yao mo gao chor ah” (Cantonese for ‘You must be mistaken’) – coming all the way to Hong Kong and paying the equivalent of about S$4 for Maggi Mee?!?! .-= Gabriel´s last blog ..By the lake =-. .-= kelvin´s last blog ..The 1st ever Macdonald in India? =-. 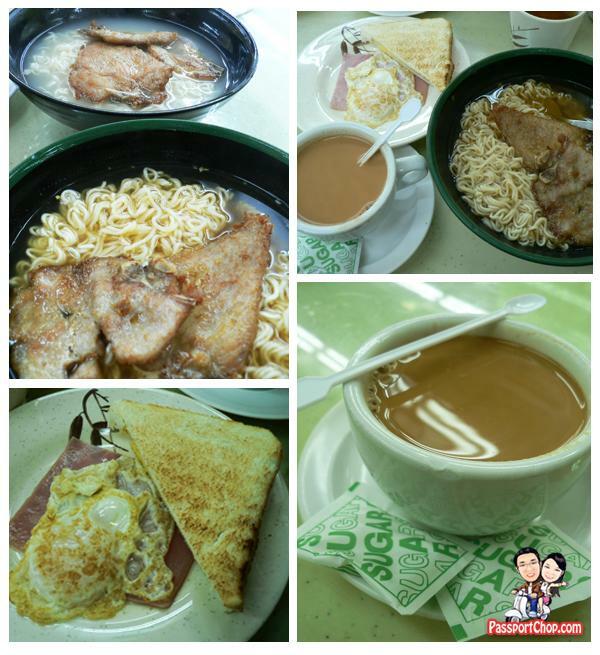 Nothing beats a leisurely breakfast or tea break at any one of those Char Chan teng of Hong Kong’s. Cool blog, jumped from Kelvin’s site. Always fun to be able to try what local eats on your travel. I don’t understand why Hong Kong people loves Chu Qian Yi Ding instant noodles. It’s a must in all Cha Chan Teng…. 🙁 Thanks for sharing. .-= Cecil´s last blog ..Travel Snapshot – Nanjing Street of Shanghai =-. Been years since the last post, but I thought I’d share my love of Chu Qian Yi Ding noodles. I don’t know how they do it, but their noodles have a texture that is unforgettable. I think it tastes best when it’s still a little crunchy, but even when soaked completely tastes fabulous. Sure newer Ramen noodles have fancy vegetables and toppings, but simplicity is genius. I haven’t had Chu Qian Yi Ding in years, but I still remember it fondly.